If you have some inaccurate credit and you need credit repair you do not need to hire a professional. You can do it yourself for free and the credit bureaus even provide forms on their websites the help you expedite the process. You absolutely have the right to repair your credit yourself. It may seem like a simple and inexpensive solution to just do it yourself. After all, how hard can it be? You just get a copy of your credit report, identify the inaccuracies, fill out the paperwork, submit it and wait for the listings to be deleted. Anyone can do it, right? Well if it were easy for anyone to do it there would be no need for professional credit repair services. We can do many things ourselves but some things it is just a smarter decision to get some professional help. For illustration, you can represent yourself in a criminal trial in a court of law but in most situations it is probably smarter to hire a competent attorney. Repairing your credit can be a complex and time-consuming proposition. Anyone who has another full-time profession may want to deliberate on if they even have the time it will take to spare. Credit bureaus commonly reject disputes and it is even possible that they can come up with verification for something that is completely false. You may be required to communicate frequently with individual creditors to get them to correct the inaccurate listings. However, helping you to repair your credit is definitely not a profitable activity for them and they often would rather just ignore your requests. When that happens you need to invoke your rights under the Fair Credit Billing Act to get them to correct the listings. You will need to treat the collection agencies the same way. Every single communication needs to be documented in writing. You need to also follow the accepted protocols when you are dealing with the individual parties. If you fail to follow the proper procedures you could possibly even end up lowering your score instead of raising it. 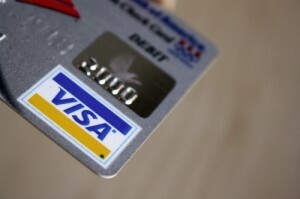 There are some major considerations to think about as you are contemplating self credit repair. Do you have the potentially excessive time it will take to spare? Another thing to consider is if you have the emotional capacity to remain neutral in the face of difficulties. Many people are extremely emotionally charged about their own finances and their own credit. If you lose your composure by getting angry or tearful you will end up hurting yourself worse. If you believe that you can handle your own credit repair and you have the time, the energy and the emotional neutrality you should do your own credit repair. If you have any concerns about these important considerations you should look into the benefits of hiring a professional credit repair service. Have you tried to repair your credit yourself?